Producing 1/2-inch cherries that are black when mature; leaves shaped like pointed ovals, with finely toothed edges; bark thin and reddish brown when young, dark gray and broken into scaly plates when mature. Habitat: Avid colonizer of old fields and waste areas; in mature forests usually mixed with other trees. Stature: 40-80 feet high; trunk to 3 feet in diameter; when mature featuring a spreading crown. 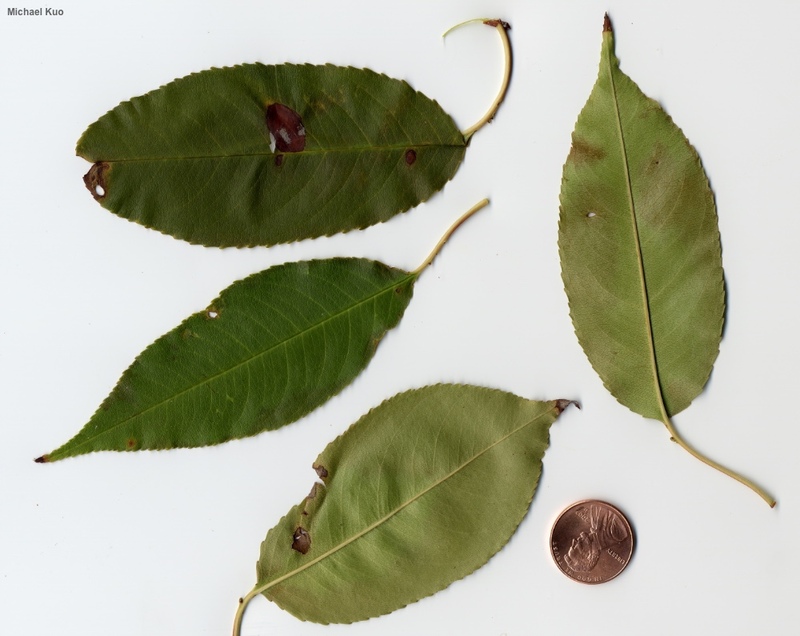 Leaves: 2-6 inches long; simple; alternate; oval with pointed ends; edges finely toothed with teeth that point slightly inward; dark green and shiny above; paler green below, often with fine reddish brown hairs along the middle vein. 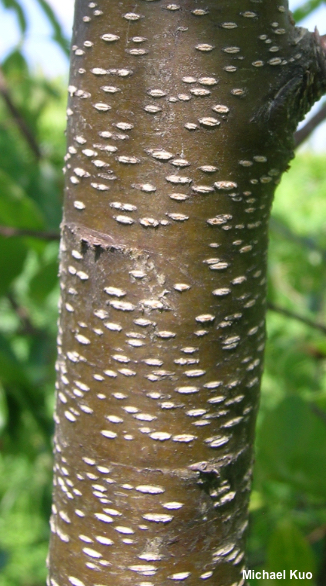 Bark: When young papery and reddish brown, with horizontal, corky blisters; when mature dark gray to nearly black, broken into scaly plates. Fruit: A small, round cherry about 1/2 inch across; bright red becoming black; nested in the cup-like remains of the flower.